Sometimes I think the hardest part of death is just grasping the simple reality of it. One minute a person who fills a space in your heart is here, and the next they’re not. 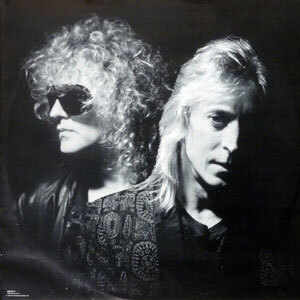 In the song quoted above, the great Ian Hunter was writing about the death of his good friend and longtime collaborator Mick Ronson, who first gained fame as part of David Bowie’s “Spiders From Mars” band during the Ziggy Stardust years. “Michael Picasso” is the raw, devastating, note-perfect elegy that Hunter unveiled at the tribute concert that he and Bowie organized for Ronson in 1994. It’s a song I’ve been familiar with for a long time, but which took my breath away when I heard it again this week. I’ve written many times about music as a healing force. The best songs have a way of teasing emotions out of the listener. You might not even realize a song is burrowing into your subconscious until one line that you maybe hadn’t paid much attention to before connects with a memory that’s meaningful to you and you feel the full weight and intensity of that moment again as if it just happened. The connection between this particular song and my present circumstances might seem obvious, but the effect is the same. The verse quoted above is characteristic of the entire song. In the bridge Hunter sings, then nearly shouts, again and again, “Heal me.” Some might interpret this as him calling upon God or the universe to heal him, but I’ve always thought the truth was closer to home. He’s asking the song itself to heal him, and it’s a profound moment—the songwriter’s version of “physician, heal thyself”—but also a lesson. Art is good for many things, but the thing I sometimes think it does the best is to help us—both creator and audience—to process and come to grips with difficult emotions. Near the end, Hunter casually throws in a line that is in fact the guts of the song: “It feels like nothing has changed / But I know it has.” The love he feels for his friend is still there, but the person is not. He desperately wants things to go back to the way they were, but knows they never will. Reconciling these hard realities is the essence of the grieving process. The body may die, but love survives. We will move on from grieving, in time; we must. But moving on isn’t an ending—it’s another new beginning.